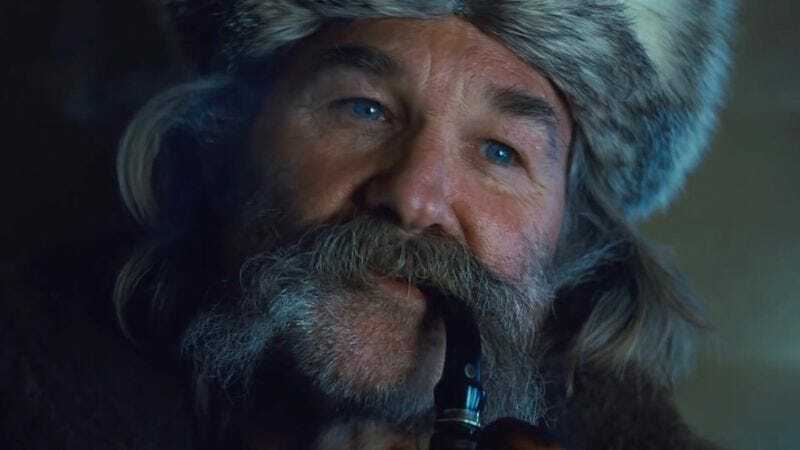 For two months, Marvel fans have been hearing about the possibility of Kurt Russell playing the father of Chris Pratt’s Peter Quill in Guardians Of The Galaxy Vol. 2. Now, at long last, the actor has officially signed on to the project, either because he liked the script or because he needs money to pay for that antique guitar he smashed on the set of The Hateful Eight. Deadline reports that—besides Russell—Elizabeth Debicki (The Man From U.N.C.L.E. ), Chris Sullivan (The Knick), and Pom Klementieff (the Oldboy remake) have also joined the cast. The film has started principal photography in Atlanta, which looks a lot like the Nova Empire when you computer generate everything but the actors’ faces. Once again starring Pratt, Zoe Saldana, Dave Bautista, Vin Diesel as the voice of Groot, Bradley Cooper as the voice of Rocket, Michael Rooker, Karen Gillan, and Sean Gunn, Vol. 2 continues the team’s adventures as they unravel the mystery of Peter Quill’s true parentage and somehow find reasons not to have the ultimate showdown with Thanos suggested in the first film. (Marvel needs to keep Thanos in his floating chair for a few more years.) Here’s hoping movie fans finally get to see Kurt Russell getting drunk and doing karaoke with an anthropomorphic tree, which seems like just the kind of nonsense in which Guardians could indulge and still be a good movie.